A smooth user experience usually translates into strong sales in any business, and e-commerce is no exception. Being fully aware of all the threats that Magento site owners face, we strive to remove any cloud on the horizon and provide a hassle-free shopping experience to all users. Three out of five factors that make shoppers abandon their carts are UX-related. When they are combined, these issues can make up over a half of all unfinished orders. Fixing these specific usability issues can help entrepreneurs improve the overall user experience and capture lost sales. Aitoc solves such problems by using tried and tested techniques and methods. By utilizing expert review methods, our UX designers conduct usability tests, analyze results and present them to the client. When creating individual usability checklists, we take into consideration strategic and operational objectives of our customers’ businesses. A retail footwear store owner was looking for new ways to increase conversions. Our UX analysis showed that the overall usability was okay, but there was a trust-related issue in the checkout area that made customers doubt that their credit card data were secure. We made a number of tweaks to give the checkout area a trustworthy look. 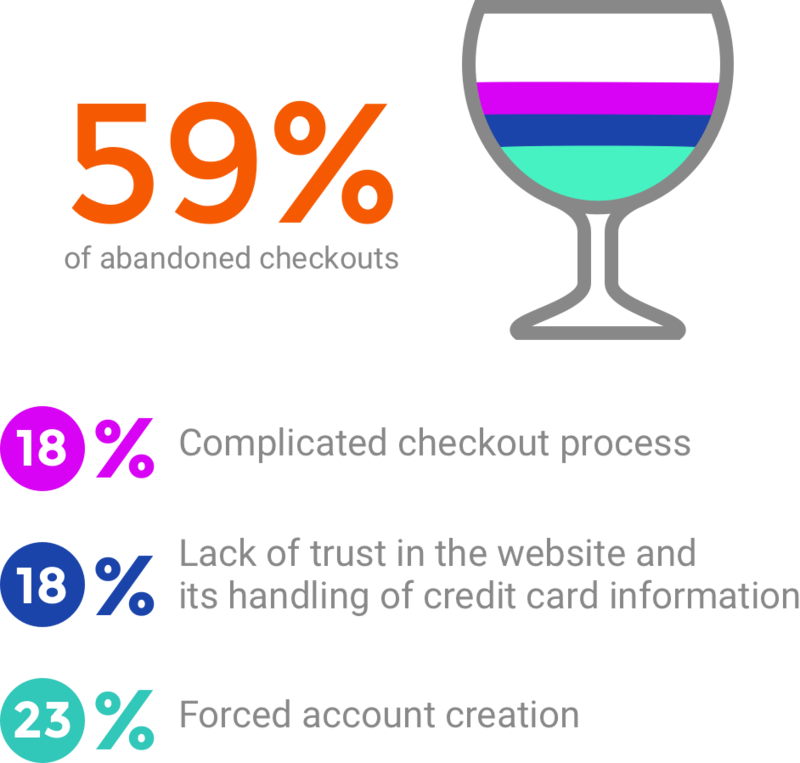 The outcome was an impressive 58% drop in the checkout abandonment rate. Visual impression of a safe environment. This checkout looks secure, as it has a security badge that is associated wth an SSL certificate. Automatic identification of a credit card type. The credit card type is detected automatically after first digits of the card number are typed, so customers do not need to choose a card type. However, card logos are clickable, as some users are inclined to click on them before they start entering digits. Special offer repetition. We included information about special and value offers at the checkout page to encourage customers to buy more. Average conversion rate for this client went up from 8.1% to 12.8%. Optimize user experience of your online store and increase your conversion rate now. Buy one of our service packages and get a dedicated team working to optimize your website.